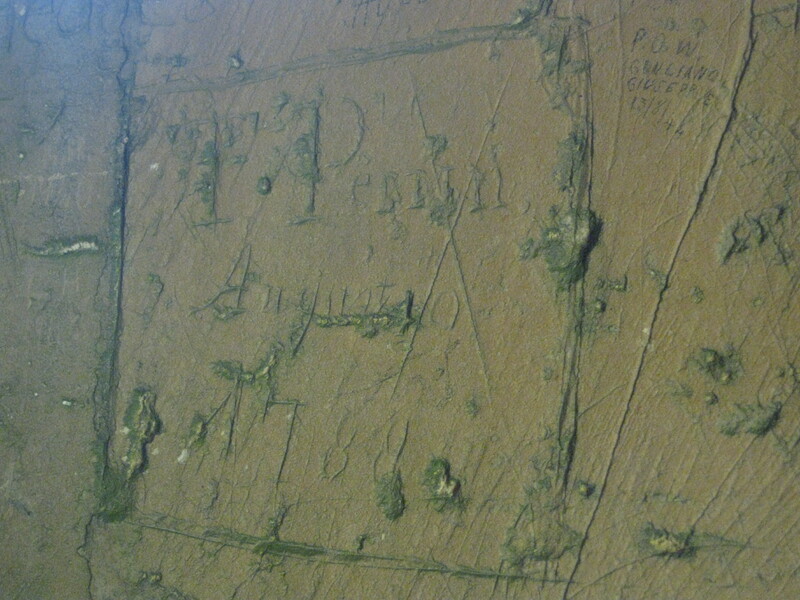 People who have read my blogs for a while know I have two slightly eccentric passions for history. 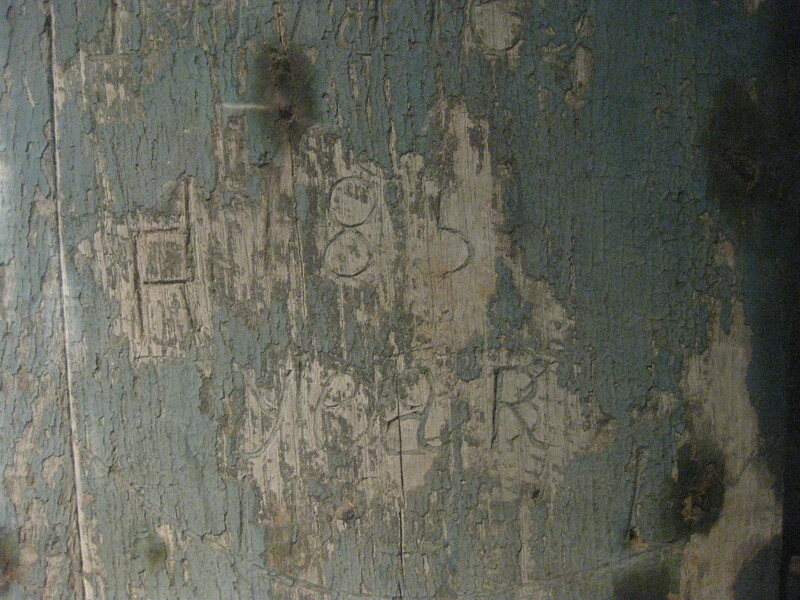 One’s old trees – definitely a bit of a mad obsession – and the other is graffiti. I think it’s my imagination which gets me going over these things because when I see trees I am thinking who walked past this, when, or leant against it or – I mean hundreds of people for hundreds of years could have had something happen in their lives near the tree and my head tries to get into their lives and picture what they were thinking, feeling and doing at the time. It’s very odd because of course it’s the same with houses, even more so, but my imagination is more intoxicated by trees and my other passion graffiti, than houses – odd I know. 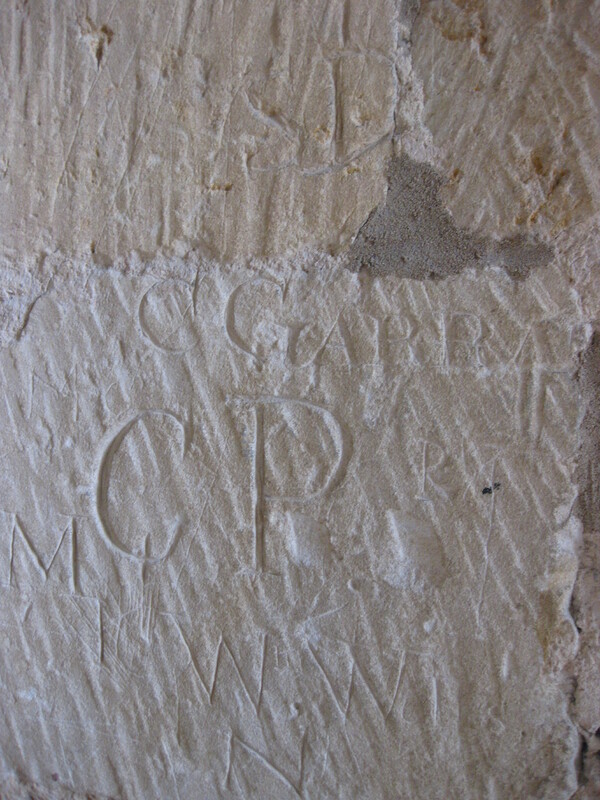 But today anyway this little cheeky blog is on my other passion – for graffiti – I mean just think who was it who stood there and carved it out, what was going on in their lives, in their head? Were they laughing? Were they with a partner, or a friend, joking? Had they just had a tryst? Were they serious and thoughtful and seeking solitude? Angry? Contemplative? Afraid? 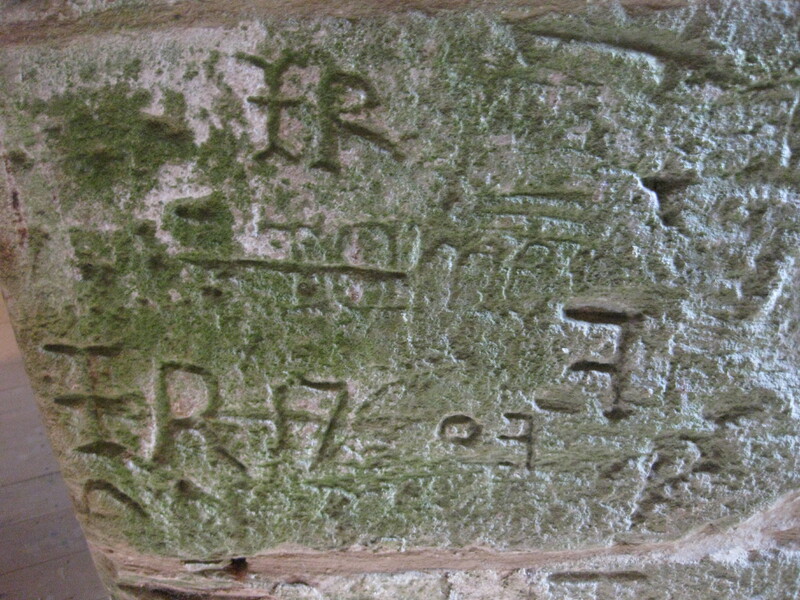 So first there was this which I discovered at Fountains Abbey in the medieval mill – although the graffiti dates to the 1700 and 1800s not medieval times. 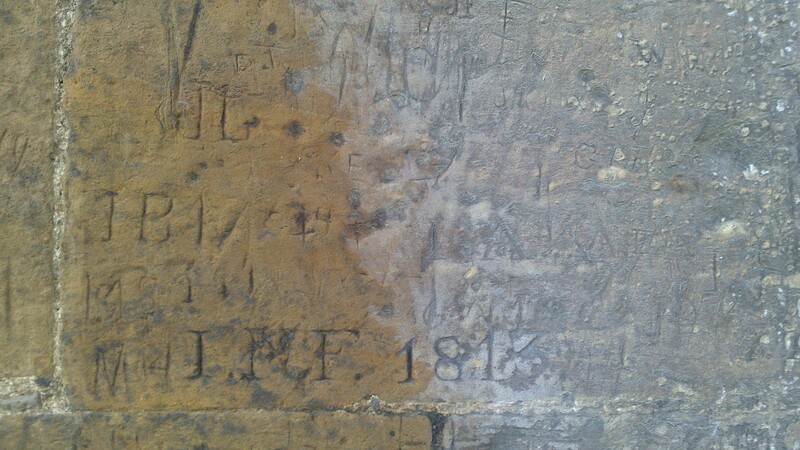 A lot of 18th and 19th century graffiti is by tourists as it was fashionable for the more wealthy middle classes and the senior classes to idle away a day by riding out and exploring ruins. 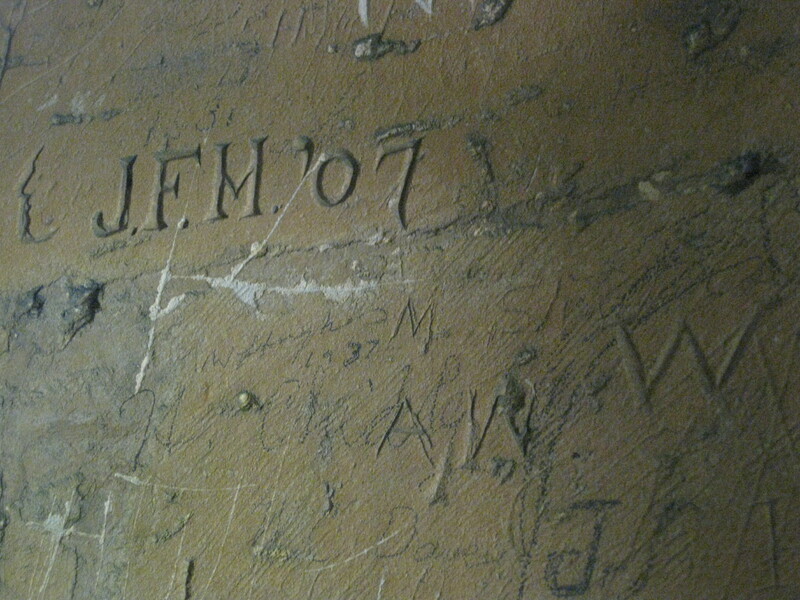 But on this door in the mill which the National Trust have preserved, are carved names they believe were workers. 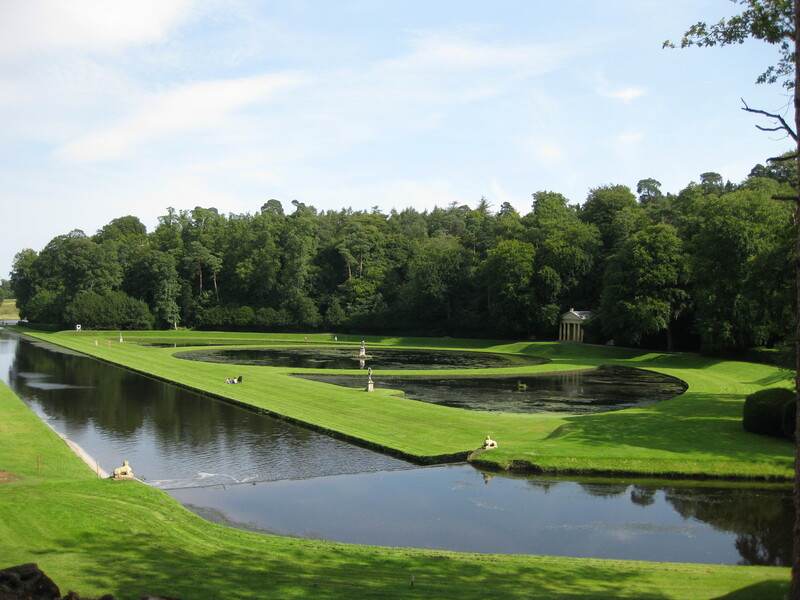 The fabulous leisure gardens which did bring many visitors at the time are beyond a gate from here so it’s believed it was not tourists. 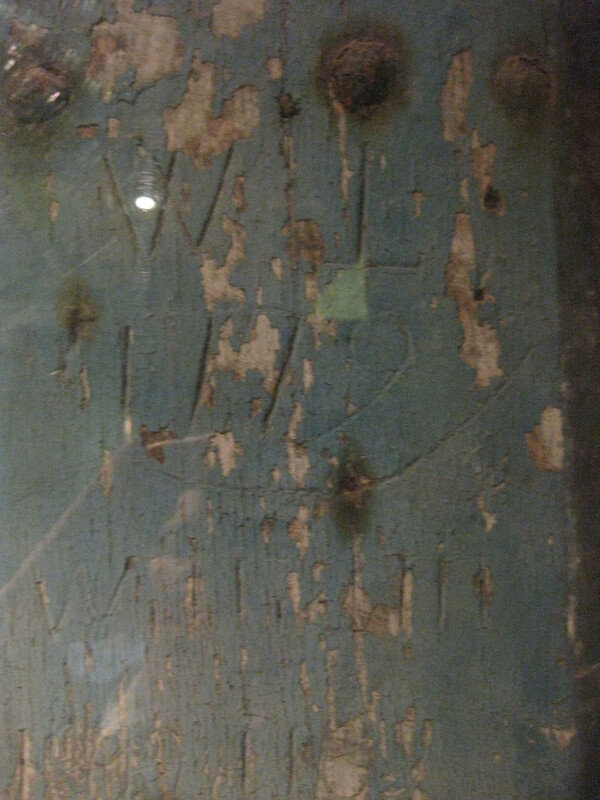 There is also another area of graffiti in the mill on a window frame. 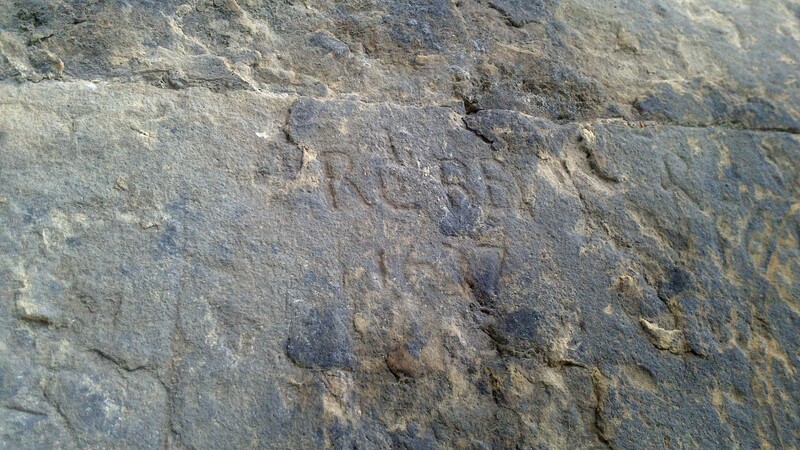 Then I found this even more exciting graffiti at Helmsley Castle. 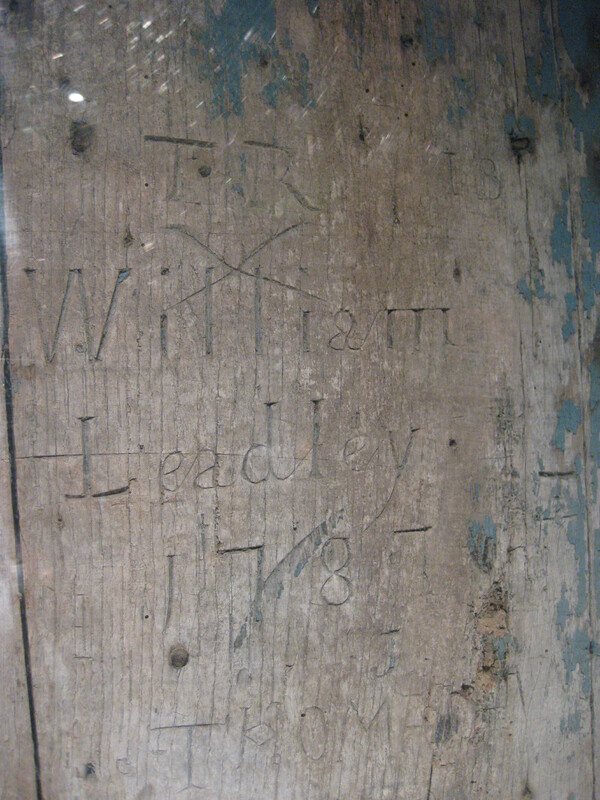 I love the town of Helmsley. 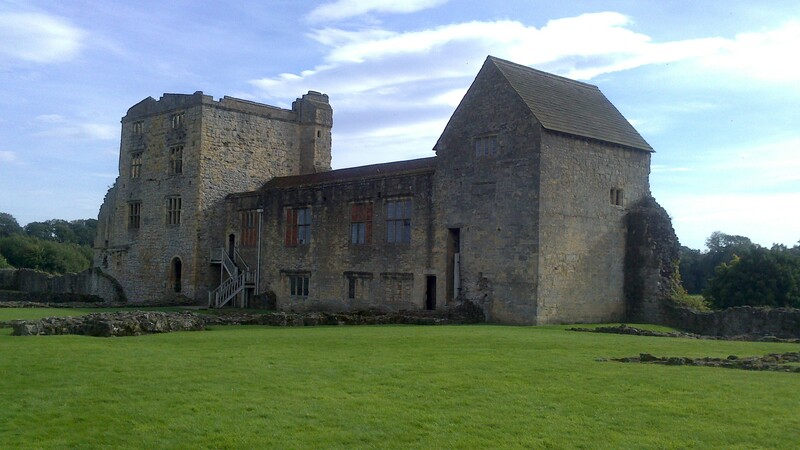 The medieval castle, which was updated with a Tudor mansion in Queen Elizabeth I’s reign, is on the edge of the town it’s owned by English Heritage and like many castles is only a ruin thanks to the Civil War. 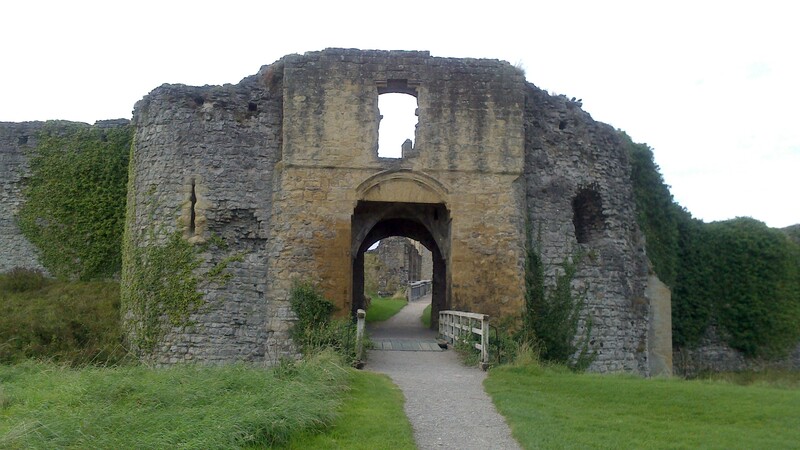 In 1644 Helmsley Castle was besieged by 700 men on foot and 300 men on horseback and the siege lasted for 3 months. 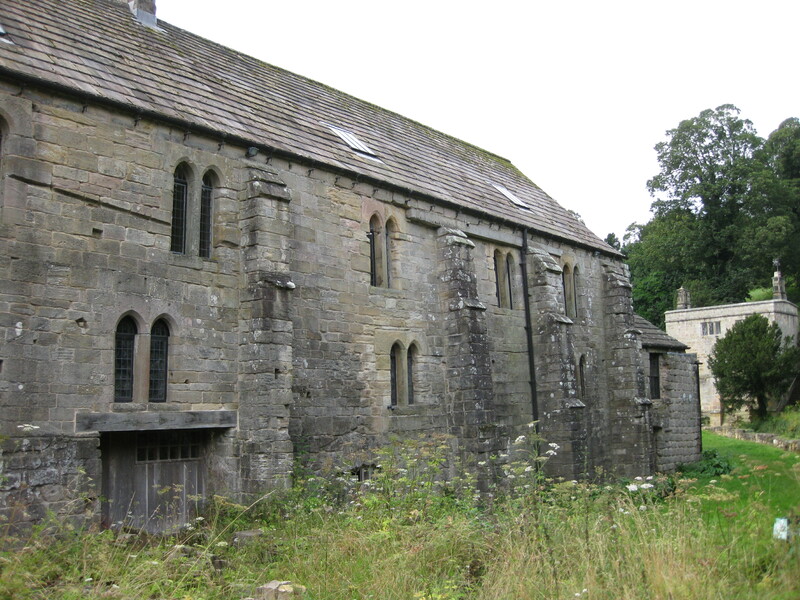 However at the end of the siege the Parliamentarian army let the 200 strong Royalist Garrison encamped at Helmsley leave peaceable through the gatehouse in a procession. They had been starved out and their defence of the castle had earned the respect of the Parliamentarians. 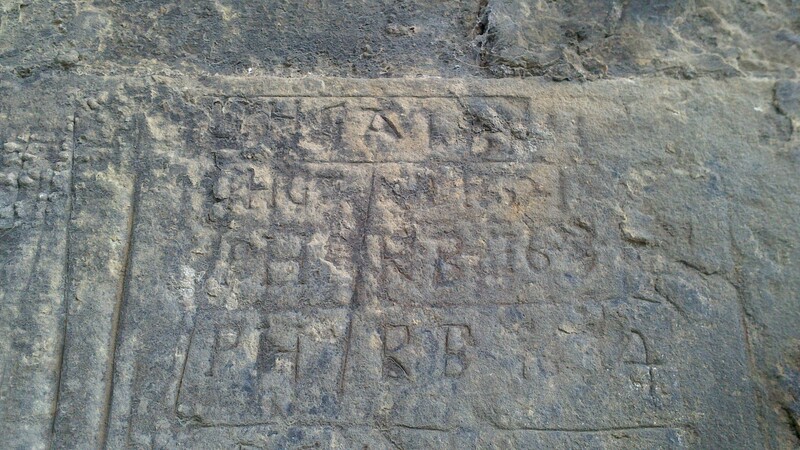 So interesting then to see this graffiti dating to the 1600’s on the walls of the gatehouse. 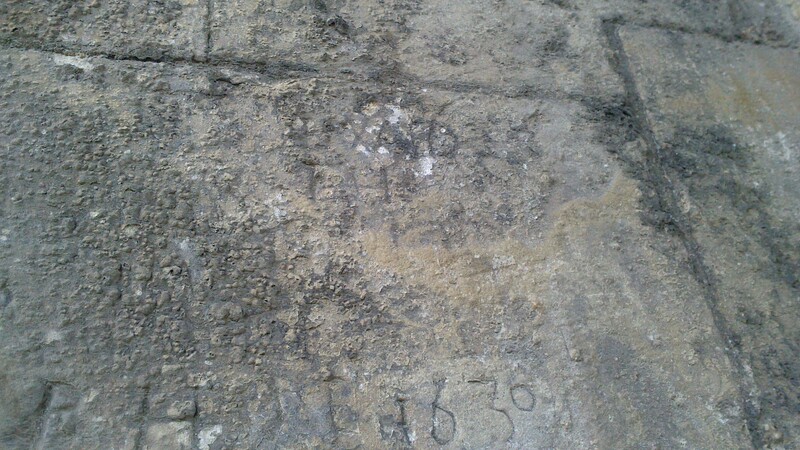 There are some 19th century tourist’s marks too. 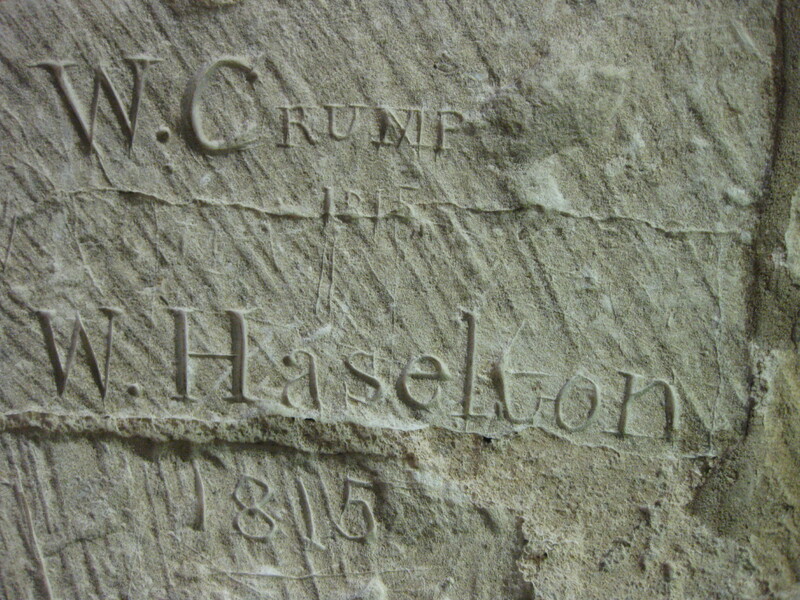 They were probably cut by friends of the family from Duncombe Park who owned the land Helmsley Castle was on then and who’d made the castle ruins a folly for them to view in the garden of their fashionable early 18th century mansion, or perhaps they were just people from the nearby town – some land owners allowed locals in their parks and one of the Duncombe family married a lower class woman he saw while out riding, having then spoken to her parents and sent her to school to learn how to be a lady. 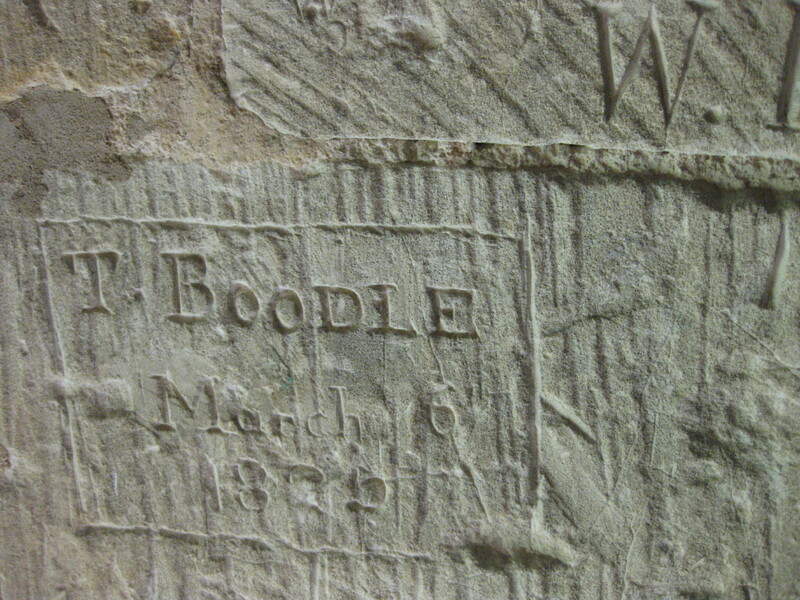 Perhaps – perhaps – perhaps – it’s all imagination engendered by a few marks on a wall. 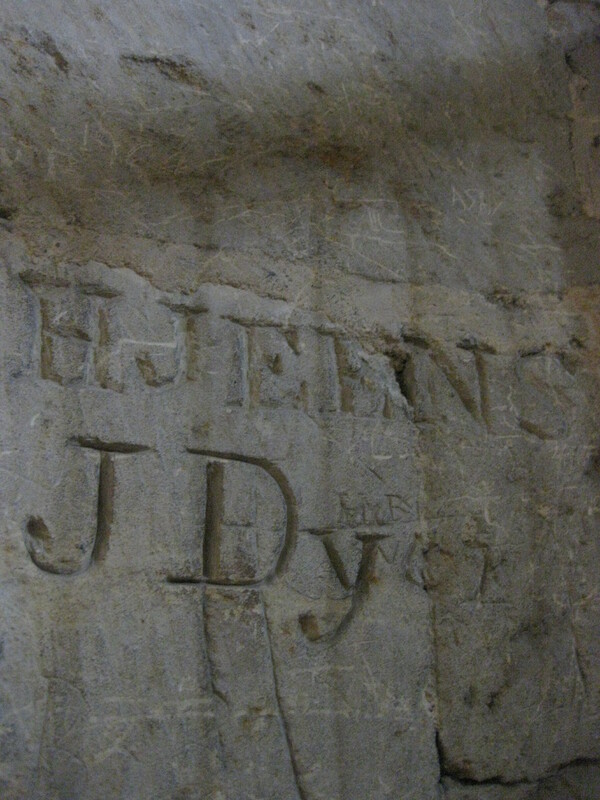 Oh and I might as well slip these in while I’m talking of graffiti – not from Yorkshire but from Sudeley Castle which was also ruined in the Civil War. 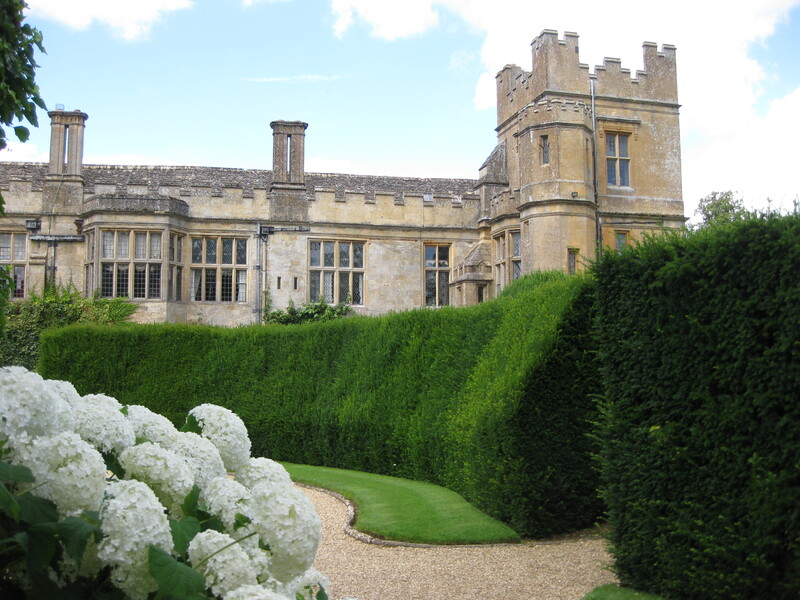 Sudeley Castle was partly restored though and while half the castle is a ruin the other half is lived in. 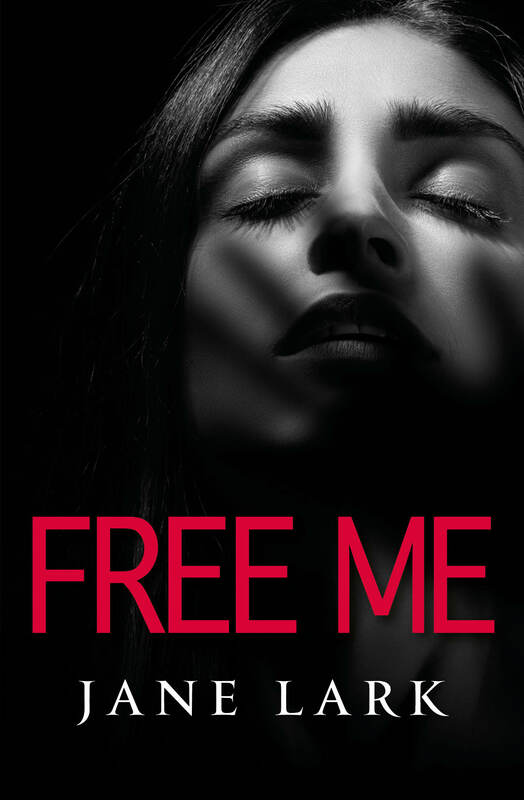 Actually Sudelely is another place I’ve drawn inspiration from for scenes in my debut novel – Mmm there’s a pattern forming here. 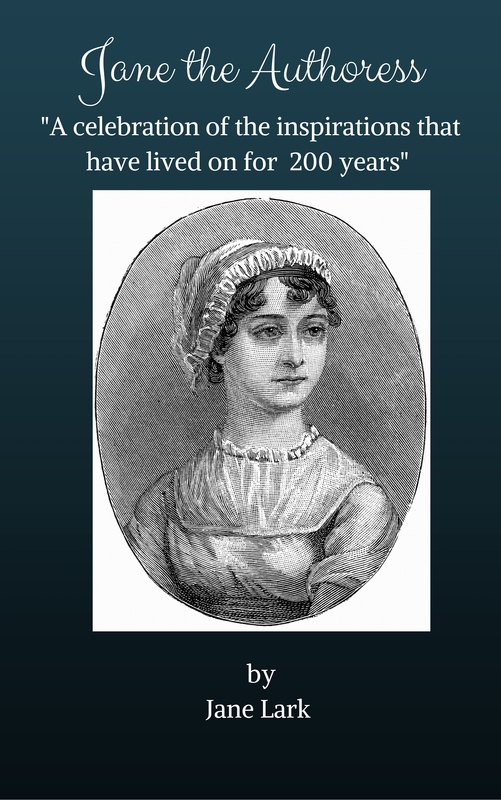 Posted on October 25, 2012 by janelark •	This entry was posted in Georgian Gardens, Georgian Stories, History, Regency Stories, Stories from the Civil War, Stories of Medieval History and tagged 1600s, 1700s, 17th Century, 1800s, 18th Century, 19th Century, Civil War, Fountains Abbey, Graffiti, Helmsley Castle, history, Jane Lark, regency books, Sudeley Castle, writing. Bookmark the permalink.